Petroleum solvent, ideal as a thinner for paints. 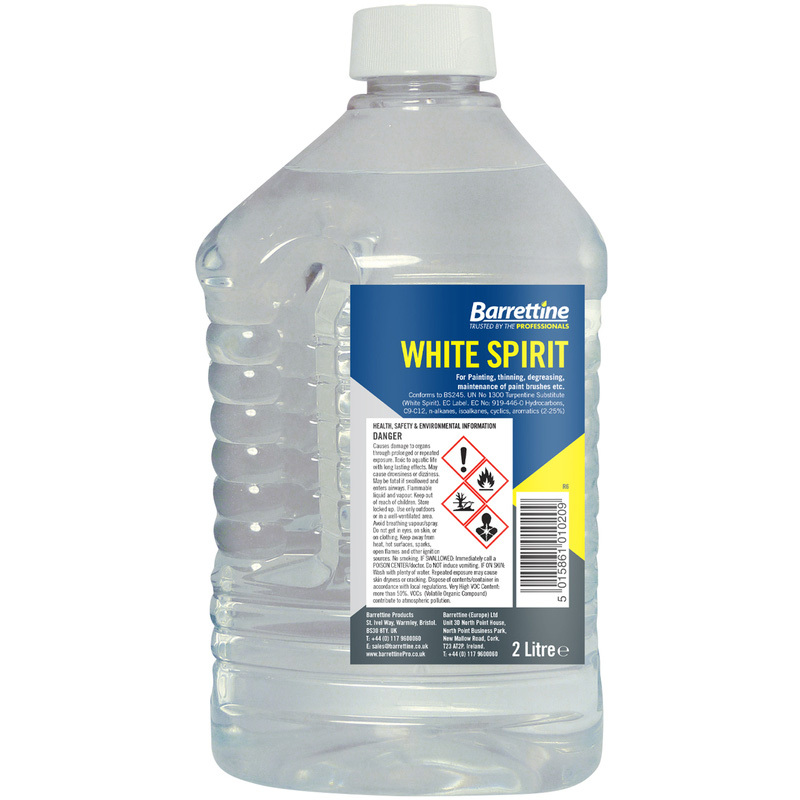 White Spirit 2L is rated 4.8 out of 5 by 30. Rated 5 out of 5 by mike210589 from good good product worked well . Rated 5 out of 5 by Meester Chris from Clean up brushes well, lights bonfires too! Used to clean up paint brushes and the old use stuff is used to burn old railway sleepers on a heritage railway - the wooden ones, not the concrete ones! Rated 5 out of 5 by SmartArt from Quality Product White spirit is much of a muchness but some is definitely better than others. I have never had a problem with Barretine products whatever they are, wood treatments etc. and this white spirit is no exception. A big plus is that it is Barretine for the same price that another well known supplier is selling an unbranded product for the same price. Rated 5 out of 5 by Robby F from Cheapest for 2L White spirit is white spirt, does what it normally does. Toolstation is the cheapest source for 2L bottles. Rated 5 out of 5 by YorkshireLad from GREAT PRODUCT Second time I have purchased this product. Does the job very well and in a easy to use container.